It’s been a crazy couple of days over here, but I can’t complain. The sun is shining, the tot makes mud daily, and I’ve been enjoying it all. 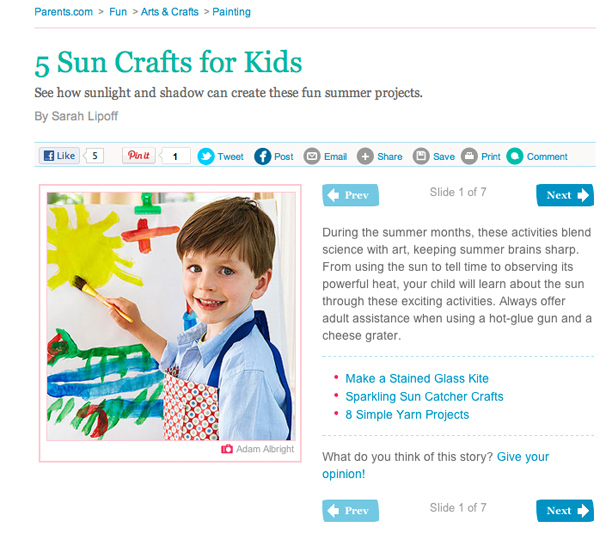 Summer is a time for soaking up the sun, and these awesome crafts that I put together for Parents.com totally deliver. From making sundials to sun prints, click on over for the full slideshow — and their fresh, new website design!